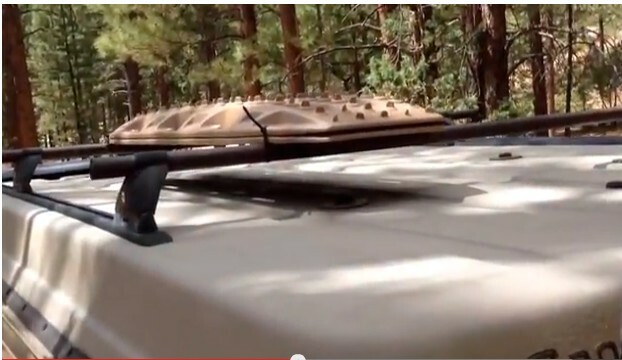 I'm considering getting a pair of "desert tan" MAXTRAX, and mounting them horizontally on my roof behind my center-mounted solar panels Does this sound like a decent idea? I'm not sure how to attach them to my roof without drilling through and potentially causing some kind of leak. Yeah, I did consider mounting them Zeta-style by putting them on my rear spare tire, but I'm really trying to stick with the "stealth" look. And besides, I'm sure I'd eventually back into something and bend/break that bottom part sticking out. Re: MAXTRAX -- Roof Mounting? 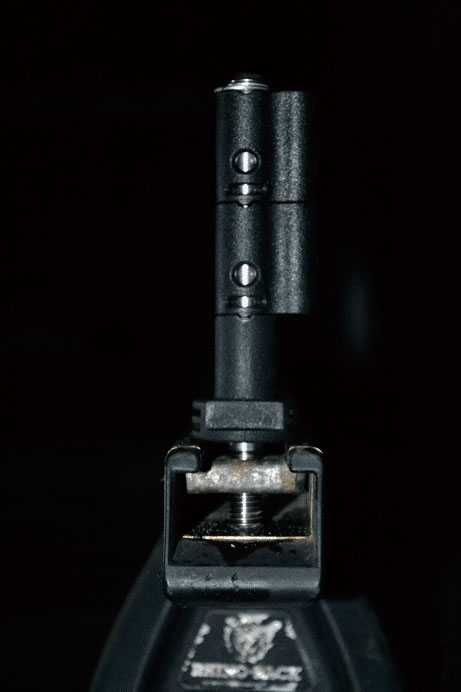 Are the Maxtrax UV stable? 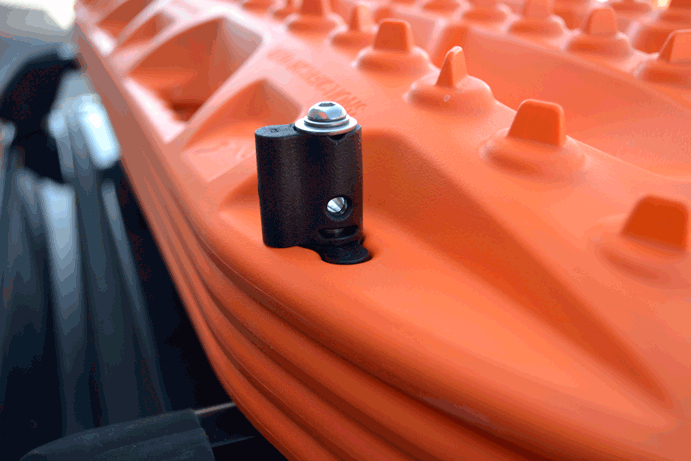 The MaxTrax, made of ultraviolet-light-stabilized, supertough, engineering-grade reinforced nylon, is a recovery system for bogged vehicles. Doubt you'd bend them. Seen videos of those going through some torture. 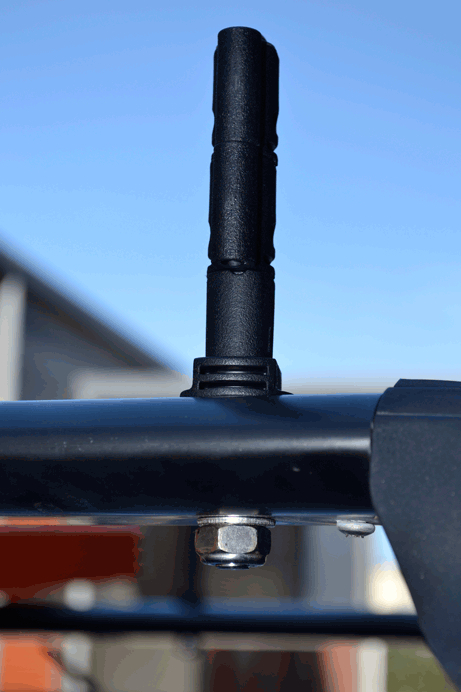 Mine are mounted on top of my roof rack slats with mounting maxtrax pins. I can't tell how Tom's (Zeta) are mounted, but I like it. I've been thinking of mounting mine on my side ladder but I think it would be easier to crash them into something on the side than on the back. So I prefer the back. Geoff, I mount my two nested MaxTrax on the roof across the two Yakima bars and secure them with two large cable ties. If you have a plain roof with no bars or racks, it might be challenging. Yeah that's the thing -- I have the plain-old roof without a roof rack. Geoff, that's how SMB installed our roof rack as well. The rails sit outside the canvas. I think you still need to be a little careful (seal it properly) when drilling outside the canvas as water seems to always find a way to places you would never expect possible.